After the 2017 Local Search Ranking Factors released and various other studies, majority of the local search engine sessions are emphasising on the necessity of building more and more local links. Despite the tips that are shared about how to achieve valuable links, users seem to always repeat the same basic question, as to how to build local links. Although you must have read many posts on building local links, this post will share with you certain top-level ideas which are not actually tactics. How does a team work through the process of link-building? How do they focus on the actual tactics and process? Remember that we are talking about local SMBs and SEOs and hence we will not have hefty budgets which could create amazing pieces of content or enough time to devote to the audience. Before starting with anything, you got to carry out some sort of research. From the SEO tool that you choose, pull out your link profile. You can use Ahrefs, Moz and Majestic as they pull different sorts of link profile and also offer you clearer picture of the link graph of your website. Then you would feel like extracting link data on the closest competitors. You have to watch out for the local websites which link to the competitors which don’t link back to you. Moreover, once you get a link from a similar site, which no longer remains unique and relevant for your competitor. Make sure you check local directories as they’re pretty easily available. A team usually is effective on a 2-3 month cycle which relies on the time which you get to devote to link building. In case you have got a team that’s dedicated for link building or you have a client who is spending huge amount of dollars, you can dedicate more time and thereby reduce the cycle. It has been deduced that setting a schedule helps keeps up the productivity of the teams. If you don’t have any deadline for delivery of links, it will become easier to become irrelevant in the phase of research. This is undoubtedly the most vital part of the game. Now that you’ve already taken good care of the other details, now you have to rack your brain and take into account the lucrative opportunities. 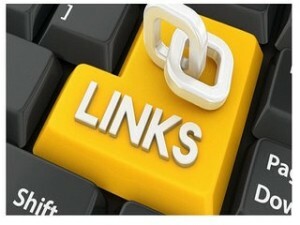 Often you will get worthy links based on whatever has been done by your client. Speak with your clients and know whether they share any good relationships which you can work to achieve links. Try to know what your client is doing as this may open up few link-building opportunities. Now that you’ve done the research and you’re ready with your list of opportunities, you have to decide on your targets for the present cycle. In case you’re working along with a client, show the link building prospects to the client and allow them to choose depending on their affordability. If you’re in-house, determine the targets which make most sense as per what you can afford and the possible link value. Now take your hit list or the target audience and make sure you start working. Is your team done with the research work on the contact details of every link opportunity? If yes, you won’t require digging up on anyone’s phone number and other details. You will certainly have a well coordinated list all the things you may require doing in order to hit the market. Therefore, if you’re wondering about the ways in which you can plan your quarterly link building, you can take into account the above mentioned tips and strategies. Make sure you seek help of an expert who can help you with the best steps.